Hey everyone, welcome to Day 4 of our Third Release Sneak Week! We’re coming to an end with only one more day left (the week went by quickly right?). It’s been an exciting week and we can’t even believe all the amazing comments that you have left us! We all THANK YOU for returning to our blog each day this week and supporting our new release! For today, the Couture Mix we’re showcasing is: Royal Garden Party! 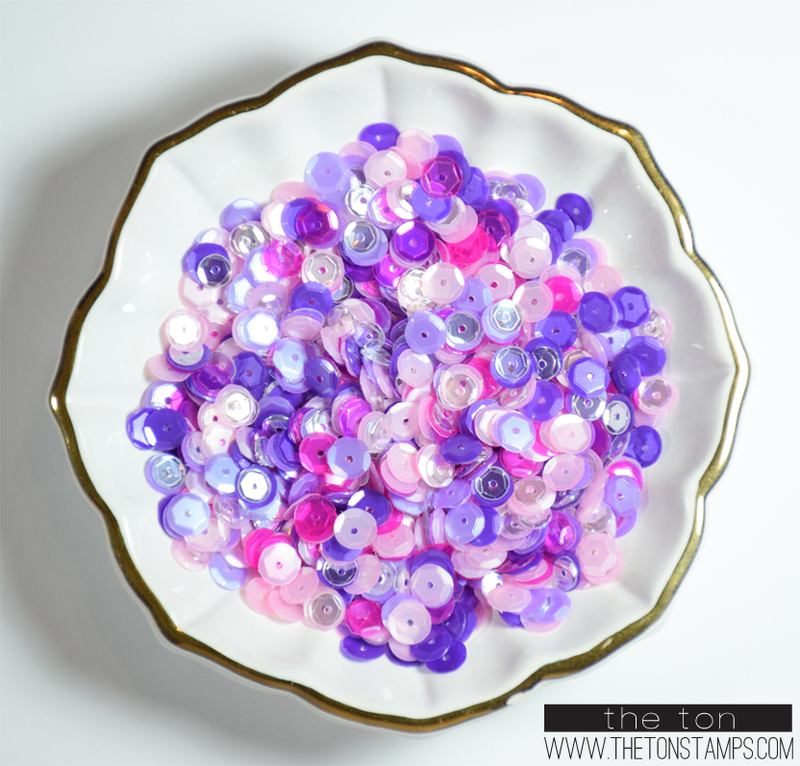 The soft and dark jewel tones of these sequins are so striking on their own but when you mix them together… Don’t they remind of a royal afternoon tea party? 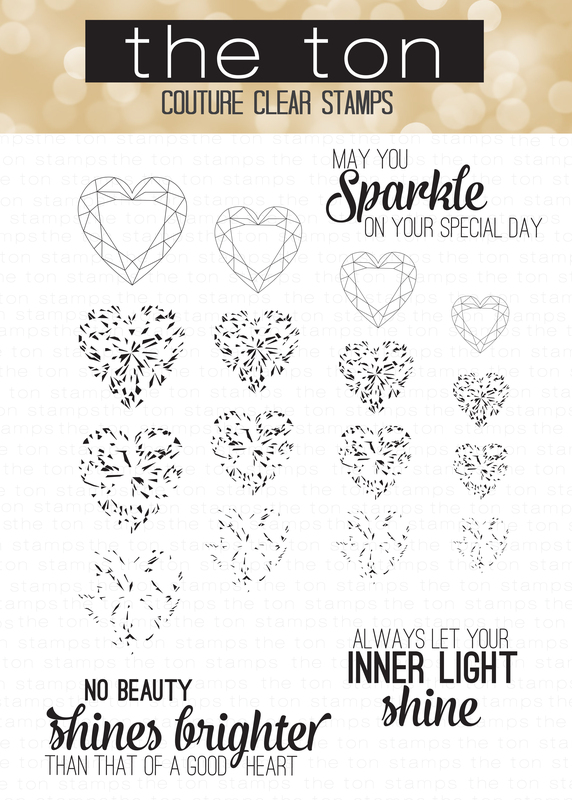 Next up, our stamp set for today is our Heart Diamonds layering stamp set! Our Design Team has created some amazing cards to really show off the different techniques you can use with this pretty set. 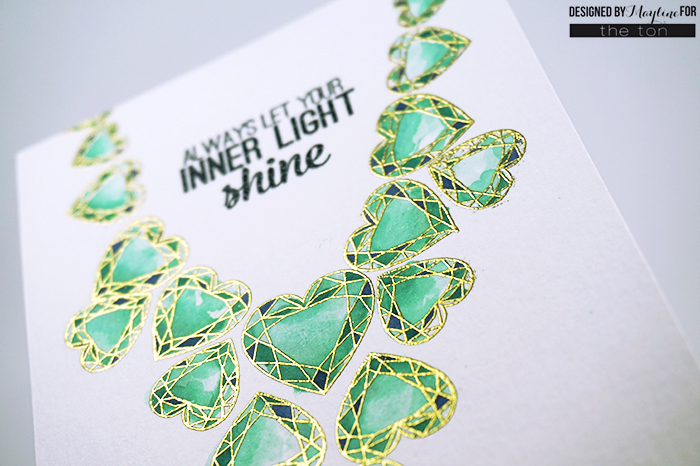 Mayline used watercolored the outline stamp in our Heart Diamonds set and created her own fabulous faceted necklace. Here are a few variations Mayline created with this set. And a beautiful yellow one. Don’t you want a necklace just like these? 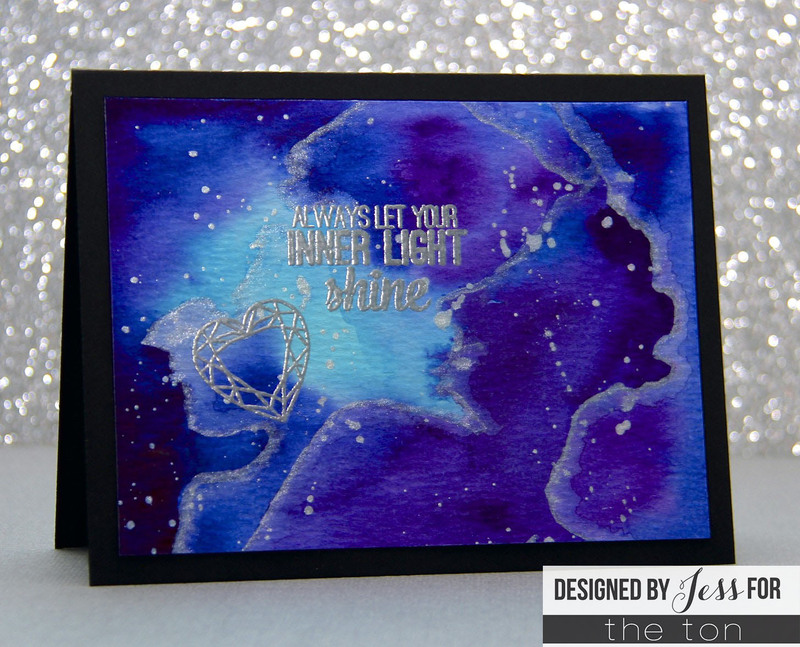 You can make them yourself because Mayline created a cool video showing you how she created this card! Ruby’s first card of the day is CAS and GORGEOUS!! She layered her heart diamonds in four different colors to create a row of heart gems! Her layers are perfect aren’t they? 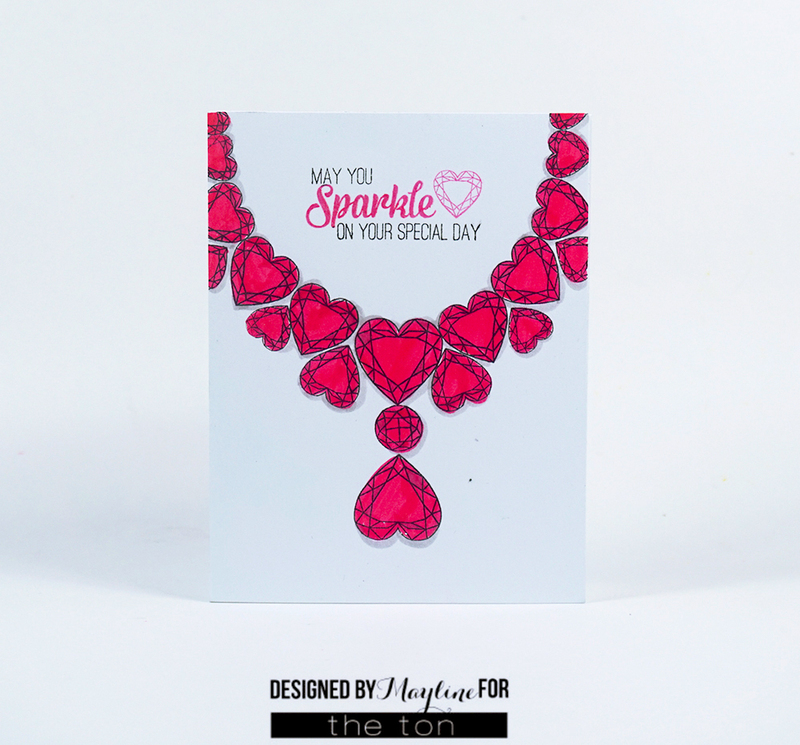 For her next card, Ruby created an awesome shaker card with our heart gems! Her watercoloring is pretty on point isn’t it? The sentiment is from a set that will debut tomorrow! 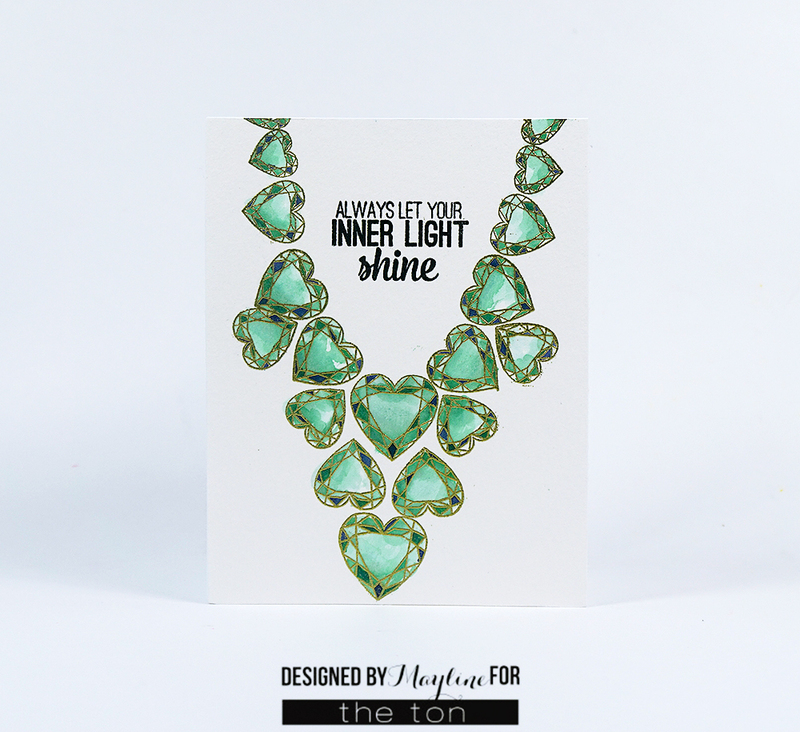 For her next card, Ruby created some extra texture and chose some awesome trio colors to showcase our new layered gem set! The sentiment is in a set that will also be debuted tomorrow! For Ruby’s last card, she watercolored a fabulous teal and gold card with a ton of interest! She used the sentiment that come in our Pyrotechnics set which debuted yesterday. Jess created a simple but beautiful contrasting navy, white and silver card with some beautiful watercolor effects and colored layering. What do you guys think of her color choices?? Pretty amazing right? 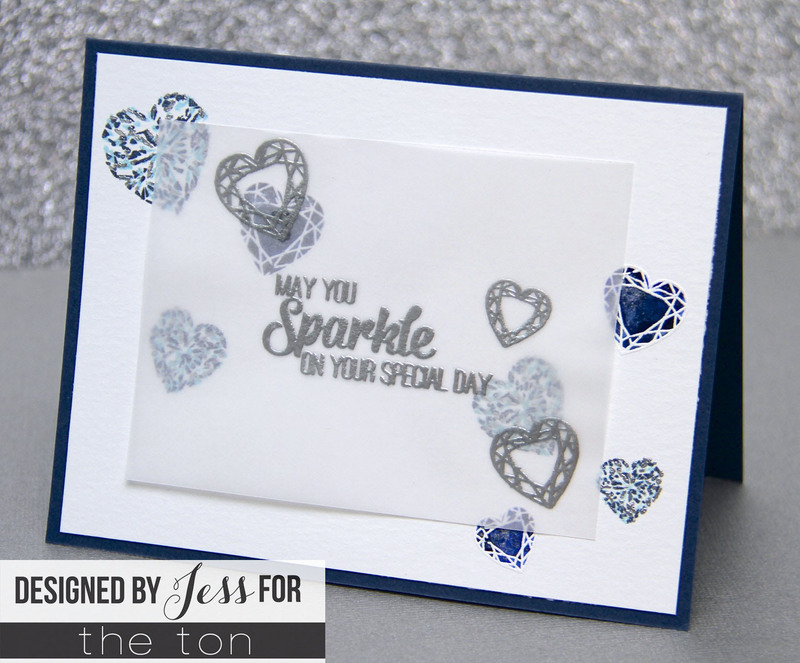 Last but not least, Jess created a super cool galaxy card with to showcase our new Heart Diamonds set. How cool is this? I hope you all enjoyed the eye popping gallery of DT inspiration cards for today! Leave us a comment below and enter into a chance to win our giveaway which is a stamp set of your choice from our new release. If you leave a comment on each of our Sneak Peek posts, that’ll count as an additional entry into our giveaway. So that’s five total entries for our giveaway! You can find our debut post here , Day 2 post here and Day 3 post here. You have until 11pm (EST) tomorrow night (June 5) to enter our giveaway. Increase your chances of getting your hands on some of our new sets by entering Jess’ 500 Instagram Follower giveaway. Check out this post for more details on her giveaway. We only have one more day left to reveal two more stamp sets in our new release. 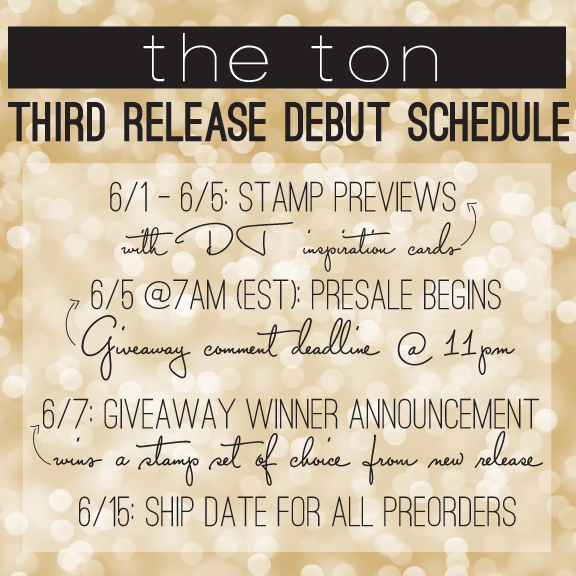 Along with our final reveal on our blog, all of our new stamps will be available for preorder at 7am (EST) with a ship date of June 15. 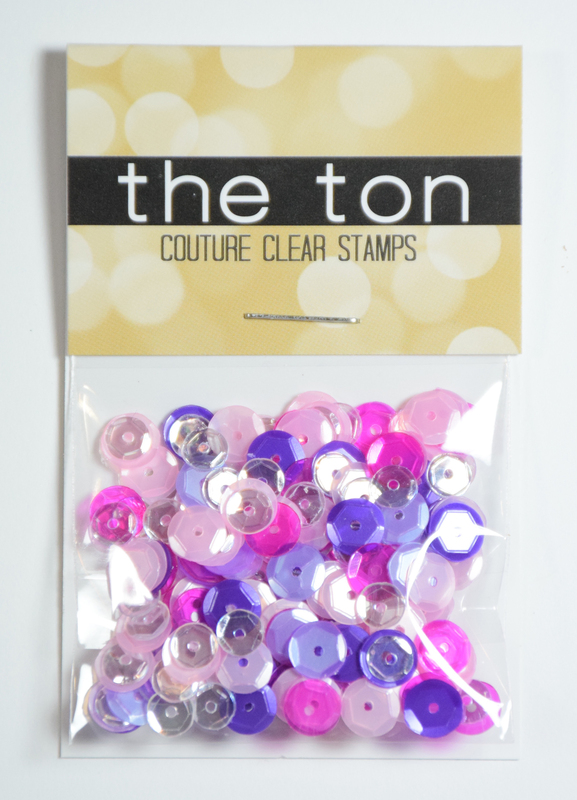 However, our Couture Sequin Mixes will be available to ship right away when they go live tomorrow morning. My stamps just arrived so I am going to play with my diamonds stamps and see what I can do but I dont think I have the flair your team has. Wow just loved all the cards but my all time favourite were the first heart gem necklace and the last with the night sky. Spectacular one and all, brilliant highlight of your stamp sets. oh wow! These are amazing!!! Love the new heart shape in this stamp set! Love these gorgeous new stamps and beautiful sequins collections!!! Soooo unique! Love this set! Great variety of projects with these gems. So today is “Jess for a day”. She lives up to my hype with her newest card using the heart gem set. 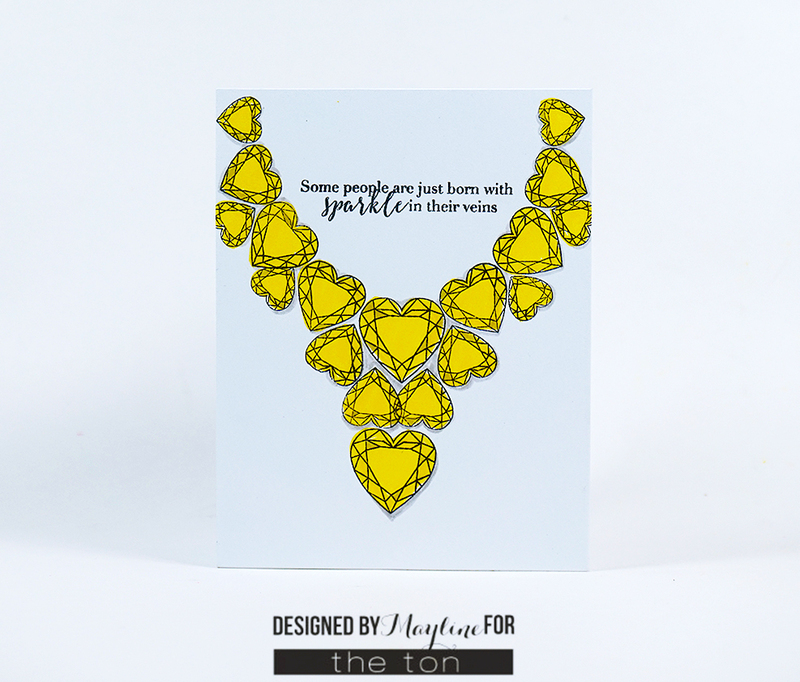 Every card submitted by your design team has been fabulous with this newest release. Just when I think the cards can’t get any more fab…they do. Brilliance. Shall I just sign my paycheck over to you? I LOVE the detail in these stamps! The cards today are all FABULOUS!! WOW! You’ve created some incredible stamps. These look stunning on paper and your DT did this set proud. These cards are incredibly beautiful. They make me want this stamp set in the worst way!! I was speechless after seeing the very first card. It looked like a photo of a real necklace! This is one amazing stamp set. Kudos to the designer!!! Fantastic release!! Beautiful cards!! I’m loving those heart diamonds, who doesn’t love diamonds?? Awesome sequin mix too!! Gorgeousness!!! Again. Your stamps and designers are fabulous.!! Another day of beauty for your new release. Congratulations. Sigh… diamonds ARE a girl’s best friend… even when they’re stamps!! LOVE ’em!! WOW…. the cards are so colorful and pretty.. I love each and every stamp set in this Release so far.. You are very creative.. and also i love how beautiful the sentiments are.. Now i just want to get all of the stamp sets! OMGoodness, I *must* have this set!! I have a heart shaped diamond engagement ring because I love hearts so much!! Wow! I LOVE those necklaces!!! What a great idea; they are absolutely stunning! So pretty with the embossing powder! I love the heart shaped diamonds. It’s just so unique. So pretty! I just love the detail in your stamp designs! These are all so beautiful and love that you have the facet sparkle stamps, just gives them a real look of ‘bling’!! Fabulous!! I have seen a lot of diamond stamp set lately, but none hold a candle to this set it definitely shines much brighter. Wonderful stamps! And such smart uses for the cards! Love the hearts, those necklace stamps are so cool! Oh my goodness, lovely stamp set! I just love how you’ve designed these multi-layered diamonds. They are so elegant and impactual! I love diamonds and these stamps make the jewelry look “high-end”. Beautiful collection. would love to add this to my stash. thanks faor having the hop. Love your beautiful cards everyone. Thanks for sharing.